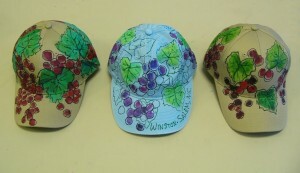 So I’ve been painting grapevine caps to be sold at the DADA tent at Salute! 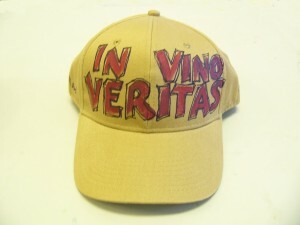 The North Carolina Wine Celebration on Saturday, June 2nd on 4th Street. The Downtown Winston-Salem Partnership is sponsoring the tent for us, as they’ve been working hard to involve the Arts District with other downtown events. 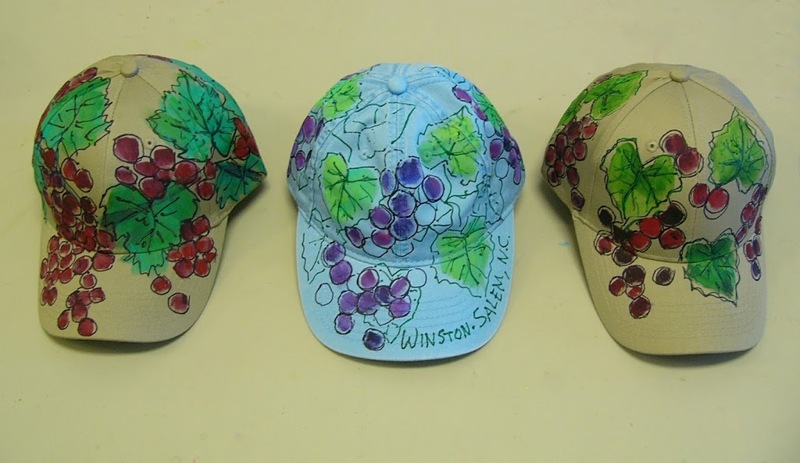 Then I painted a couple “low key” wine-related designs…. and a wine glass with a ribbon banner. 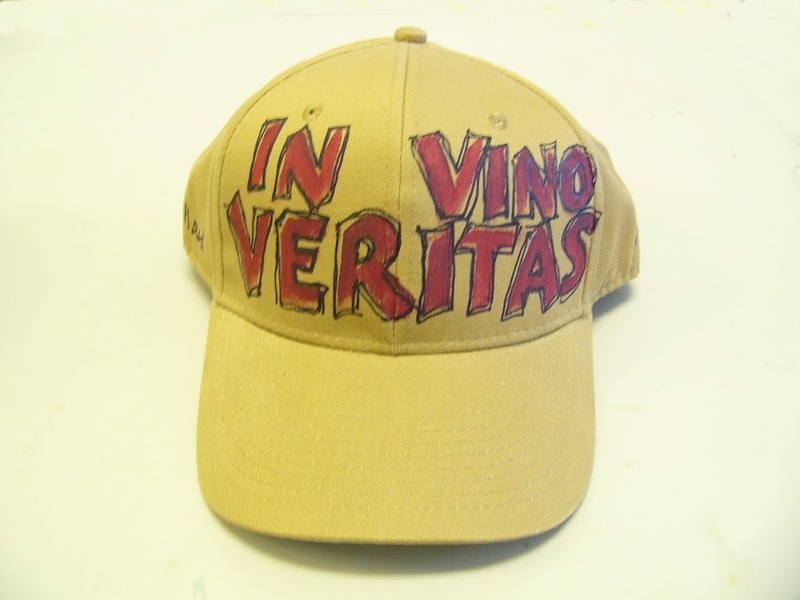 The “in vino veritas” is a little boring….may have to jazz up the letters or possibly add lots of deep red smudges, the way I painted this t-shirt years and years and years ago when I lived in St. John, USVI. 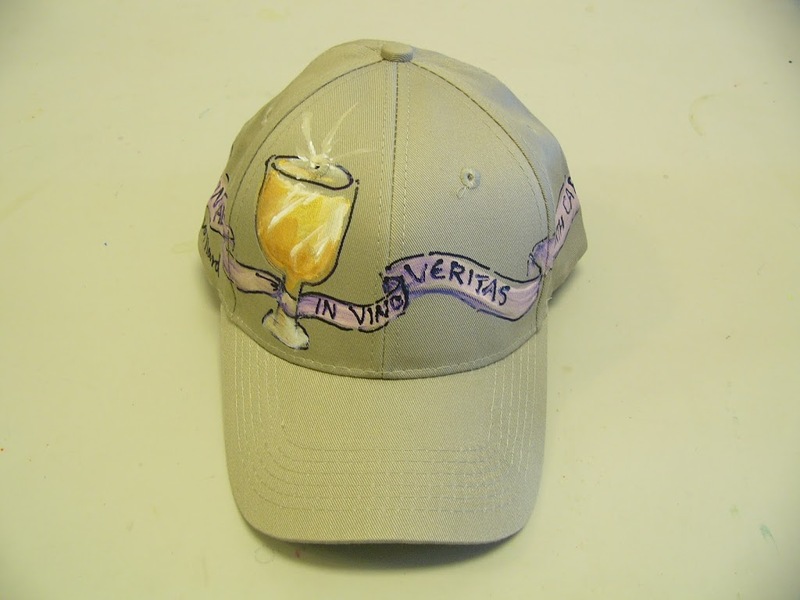 Next → Next post: Sunday is a Workday….